Winter crafts are so pretty and snow much fun to make….. he, he! There seems to be an endless amount of ways one can make a snowman from handprints, footprints, and fingerprints – in the way they are embellished or what they’re placed on such as a candle holder or ornament. Handprint snowflakes and Winter trees are popular too. 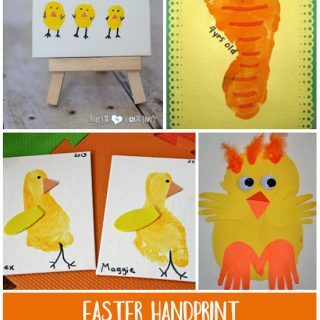 Here are 12 Winter Handprint Art Projects to keep the little ones busy during the cold months. Don’t forget to add the child’s name, age, and the date for keepsakes to look back on when the kids are older. Fingerprint Snowmen with a creative way to add scarves. Handprint Snowman Craft to go along with a cute snowman hand poem. Snowman Footprint Keepsake. Kids will love decorating their snowman with scarves, hats, earmuffs, and so on. 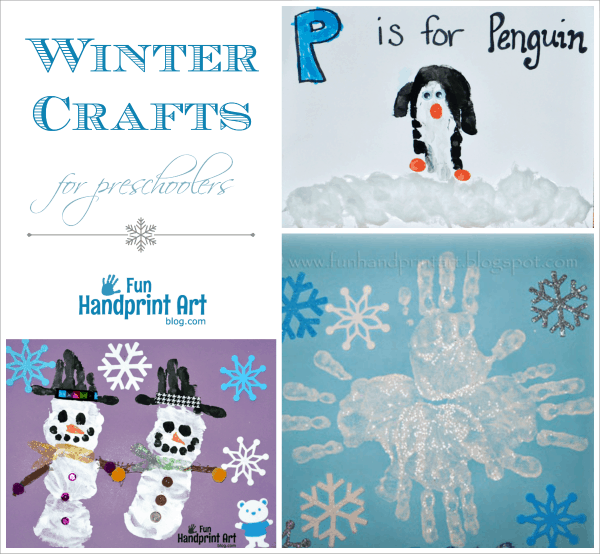 Winter Wonderland art project for kids. This is so pretty! Thumbprint Snowman Cookies. Love this take on the usually thumbprint cookies! Winter Thumbprint Frame Craft to display in your home. Cold Hands Warm the Heart craft for kids – cute for Valentine’s Day too! 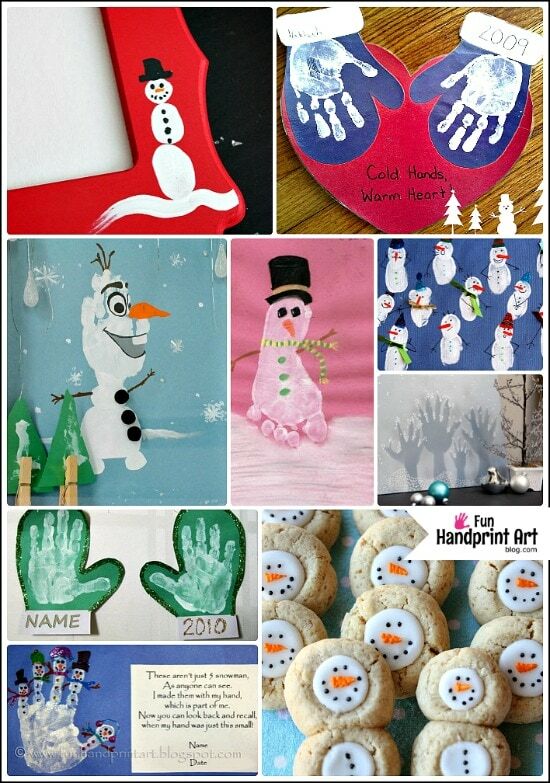 Handprint Olaf Craft – perfect for the Frozen fans! Follow us on Pinterest for more Snow Adorable Winter Crafts! Adorable! 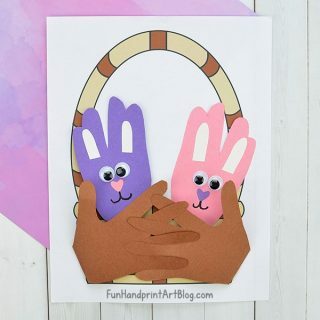 Thanks for sharing my Olaf-inspired handprint art!